BURNABY, BC – Steamworks Brewery has announced details of second release in the annual Steamworks Barrel Aged Series. This robust Rye Barley Wine was carefully aged for months in Woodford Reserve rye barrels resulting in a vibrant red brew we fittingly named Scarlet. With rich flavours and a warming finish, it’s perfect for rainy days. 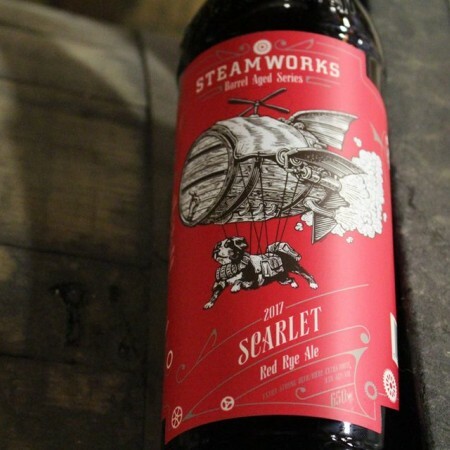 Scarlet is available now in 650 ml bottles at both Steamworks locations, and will be distributed to select private liquor stores in British Columbia later this month.